Ever time the Alliance retakes control of the Arathi Highlands, they are given an opportunity to claim Toys from fallen rares. This can only be done once per cycle however, so here in this article, you will find the location of each rare that drops a unique Toy. 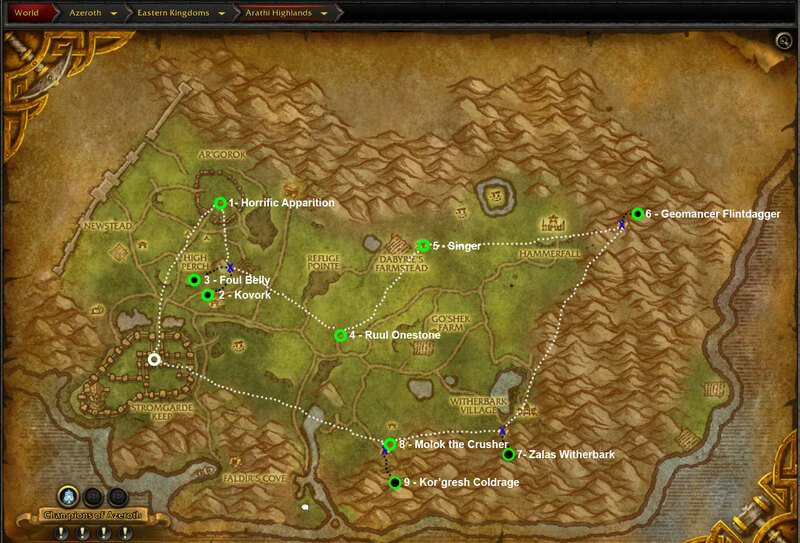 We are also providing you with a helpful route you could take for a quick and easy farming session. Found in the Horde’s abandoned garrison, located to the north of the Alliance’s own garrison. This wandering spirit is surrounded by many other ghostly visages, and when it is defeated it may drop a Spectral Visage. This is a toy that renders both you and your mount translucent, with whiffs of ghostly smoke wafting around you. It is a similar look to how you would see yourself while you are stealthed, but others can still see you, albeit more difficultly. This peppermint kisses loving member of the Syndicate, can be found hiding inside a barn at Dabyrie’s Farmstead. When you defeat her, you might be able to get hold of her Syndicate Mask, which can be worn over any existing helm you may be wearing.